Happy Friday! So excited for this weekend to get started. I have two Halloween parties to attend. I am going to party like it's 1999! Or more like 2007 cause I was not 21 in 1999. But you get the gist. 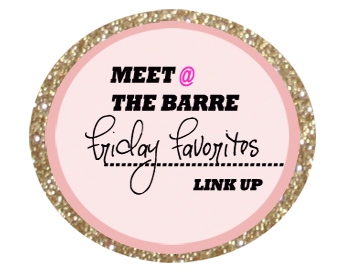 I know because it's the Friday before Halloween I'm sure the blogosphere will be flooded with costume ideas, decoration ideas, and cute and creating snacks. If that's what you are looking for, that's not this blog today. I'm not creative in that way, by nature. I can barely think of my own costume let alone give others ideas. Don't get me wrong, Halloween is one of my favorite holidays and we usually come up with something cool. Stay tuned for Monday and I'll share my costume. I am actually pretty stoked about it. 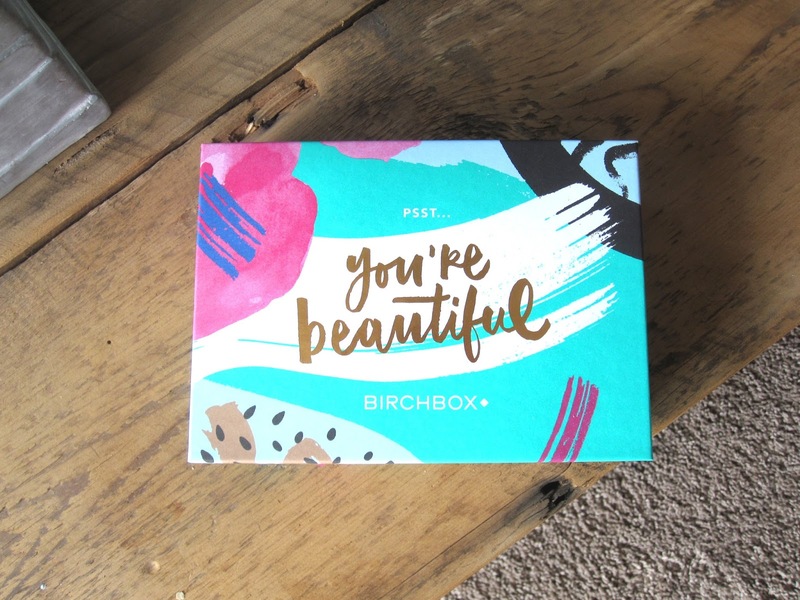 In lieu of a Halloween themed post, I am going to do my super late Birchbox review post for September. It's so late it's scary late! Get it? Scary? Cause it's Halloween? I am trying to work it in, bear with me. Seriously, I am way tardy on this. So much in fact I have my October and have posted this yet. Le sigh. Let's get to it! This I was surprised by. I have been using a liquid concealer for some time now to try and reduce wrinkles. I talked about my favorite one in my beauty favorites video from a couple of months ago. This went on surprisingly smooth and easy. For a change, the color they sent me was actually pretty great. Was it worth the $26 price tag? I don't know. I really enjoy my drugstore concealer and am not ready to commit to it. BUT I do put this in my little purse as a back up. When I first saw this, I will admit I was skeptical. Mostly because the colors. Purple and silver are not usually my jam, particularly in an eyeshadow. It reminds me of colors I wore back in the day when I was first experimenting with make up. But as one of my favorite music critic says "I try it so you don't have to." So I tried it. What I will say is the color went on well and was vibrant. I tested it without my eyeshadow primer to get it's true capacity. These are a few colors from a much bigger palette. If the colors were something I liked I would totally be on board with this. Although at this point I have four eyeshadow palettes so I need more shadows like I need a hole in my head. This was God send while I was in Fiji. The sample came in a small container and you did not need a lot for it be effective. While on vacation I used it as an overall moisturizer, which it is not totally efficient for but was ok. It is a thicker cream so definitely better used for under your eyes. I did not notice a significant difference in the skin under my eyes. Although I did not use it for very long so it might be worth a shot. 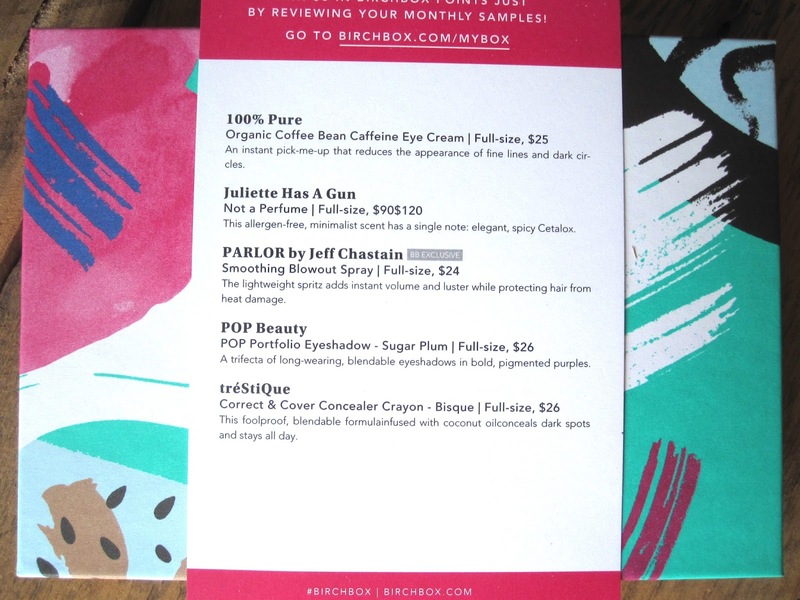 I love a perfume sample. There are very few perfumes I can't stand. I like to keep them in my various purses to stay fresh and smelling great! I have some favorite types of scents so I know what I like. This perfume was very light and more of a fresh scent than a flowery scent. I can see this as a day time scent. It's light and not at all overpowering. For me, I prefer something a little stronger even for day time so I probably will not be purchasing this. The $90 price tag is also a major deterrent. If you prefer something very light, then this is the scent for you. That's it for this month. Overall a moderately successful box. I found a few good brands and some ideas of things to try. What do you think? Have you tried any of these products? Leave a comment below I would love to hear what you would buy!